The Synergy of nature and technology is back. DJ Nesho one more time bring you one step closer to the evolution of sounds and beats with 10 carefully selected tracks. Energy of warm sun, cold see and enchanted forest have return stronger then ever. Compilation created to celebrate 12th annual summer festival Future Nature , second in a cycle of five festivals that are dedicated to the natural elements: earth, wood, wind, water and metal. Variation trough all genres of electronic music this compilation will satisfy all lovers of electronic sound. Starting with summer sound track from Vertex & Pion trough unique groove by The Riddler, across positive and classical dynamic progressive trance beats of Zyce, Flegma, Nerso, Phaxe, Vice, Sideform and Hardy.Veles and all the way down to deeper spheres of psytrance sound of Middle Mode, E-Clip and Ectima. This year we have put our accent on wood. 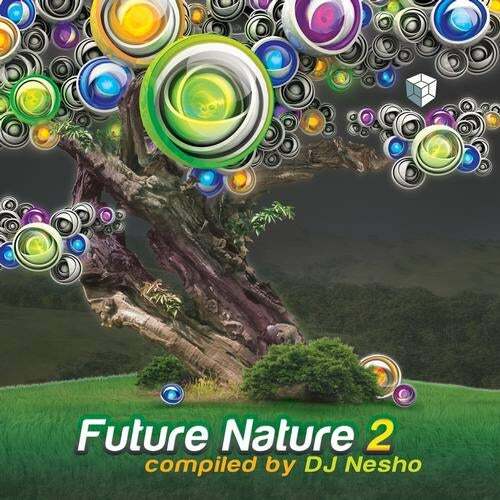 Welcome to the different future, welcome to the Future Nature volume 2.